Four and a half years ago my doctor came to visit me after Hazel was born. We had not long come home from hospital, after nearly two months in NICU. I was struggling to cope outside the safe, comforting environment that such places offer – particularly if you are there for any length of time as we were. I loved her beyond words and yet I struggled to accept her condition. I had taken to my bed, exhausted; emotionally and physically. I was unable to cope with all that had happened. Unable to accept my baby girl had Down’s syndrome. I did not want to join the club. The Down’s family. That family with a kid with Down’s. The Down’s girl. Disabled. Special Needs. I imagined the conversations people would have about us. Labelled. Given a badge. Lifetime membership. I didn’t ask to join. I certainly didn’t want to join. “You will meet some amazing people and it will be an incredible journey”, he said. How did he know? How could he possibly know that? And now I know it too. I am ashamed to think that I thought my life would be better off outside of this club. This club is simply full of amazing people. People whose lives have also been turned upside down because of an extra chromosome or some other disability or condition. Like us, these people have had to face heartbreak and pain as they watch their child go through yet another operation or procedure. Many have had to do battle with an education system that puts no end of obstacles in their child’s way. They have fought tooth and nail to ensure their child be allowed to ‘thrive’ at school and not simply just ‘cope’. These amazing people also include NICU Nurses, Respite Nurses, Community Nurses, Portage workers, Music therapists, Speech therapists, Physiotherapists, Occupational therapists, SENDCOs, Teachers, Teaching Assistants, Head Teachers, Surgeons, Doctors, Paediatricians and Practice Nurses…the list goes on. These are people who fight our corner and will go the extra mile every time for our children. They get it. They understand. They don’t say ‘computer says no.’ They have helped both my children, myself and my husband in immeasurable ways and I am eternally grateful to them. Then there are the amazing people in our circle of friends, neighbours, church, family. Truly amazing. But most humbling of all, included in these amazing people (most of whom I would probably never have met if it weren’t for Trisomy 21) are mums and dads who have paid the highest price for their love and sadly, tragically, lost their little ones. Yet still they reach out to me and offer me their support. They have also shown me how to live, love and laugh through the toughest of challenges. More recently, this club has included a family who have already shown, in just a few months, more determination, more resilience, more strength than I have had in five years. Week after week, month after month, they face uncertainty, separation and great anxiety as their baby girl battles on in NICU and now PICU. Countless operations already under her belt and her fight goes on. They could have opted out so easily. And, at some point in the pregnancy, fairly early on, it was assumed they would. At least by some in the medical profession. After all, according to statistics, it’s a club no one wants to join – isn’t it? They also chose difficulty, pain, heartbreak, anguish. And that’s what will get them through. They have gone beyond the pain and the difficulty and grasped hold of a love that is stronger than all the rubbish. A love that says their child has as much right to life as anyone else. A love that says they will never stop fighting for her, believing in her, delighting in her. They are without question amongst the amazing people my GP told me I would meet. I didn’t believe him, but he was so right. And I am glad I joined this club and got to meet them all. So thank you – to each and every one of you for being part of this incredible journey. You are all amazing. The world is by far a better place for all who are born with an extra chromosome and for people like you. 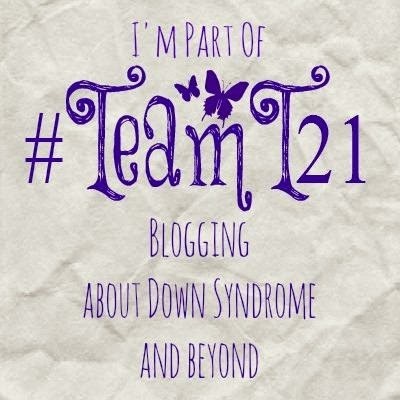 Categories: Abortion, Down Syndrome, Down's Syndrome, Joy, Parenting, Prenatal Testing, Trisomy 21, Uncategorized | Tags: #downsyndrome, #fearfullyandwonderfullymade, #Trisomy21 | Permalink. An extraordinary real account of life and love. Thank you, Alison, for expressing this piece with just the right words. Alison as always this is “outstanding”. Thank you for sharing. Thank you for this window into a world I hadn’t even realised existed.